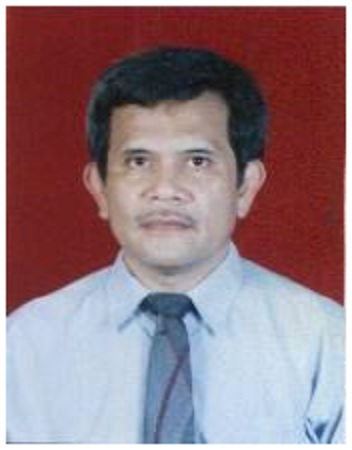 Parulian has worked in various companies and Higher Education Institutions for more than 32 years, such as: HELM-USAID (leadership specialist), G4S (HR Manager), Cahaya Buana Group (HR Group Head), ABN AMRO-Bank (AVP Human Resources), PT. Aqua Golden Missisipi (HR Head), Hay Management Consultant(Management consultant and trainer), Center for Agroeconomic research (Researcher), LPPM (Professional Staff and management consultant), Kwik Kian Gie School of Business (Vice Rector II and lecturer), MMA-IPB (part time lecturer), STIE Nusantara (part time lecturer), MBA Bandung (part time lecturer), and SBM-ITB Jakarta and Bandung (Guest lecturer). Parulian also has done a lot of consulting activities in serving the following companies. Parulian research interests are competencies, management and leadersip, human resources Management and business. His research methodology are both qualitative and quantitative is qualitative approach. Kompetensi Plus, published by PT.Gramedia. Praktik Complex Adaptive System (CAS) di Indonesia dan implikasinya terhadap Manajeme Perbaikian Manajemen Sumber Daya Manusia (Persoalan dan ancaman, Peluang dan Jalan Keluar). Seminar Pembaruan Manajemen Bisnis Indonesia 7-8 Mei 2008. The Impact of Asian Financial Crisis on HRM Practices in Indonesia, accepted but not presented at 10th International Conference on Global Business and Economic Development, Kyoto, Japan, August 8-11. Praktek “Complex Adaptive System (CAS)” di Pabrik Gula di Lampung. Jurnal Manajemen. Vol.3. no.1. 2013. Kwik Kian Gie School of Business. Competency’s building and levelling in manufacturingcompanies in Jakarta, 1998. National Examination, Competency Based Curriculum and the Future of National Education, 2006. Local Government Comparative Project (incl. decentralization) between East Java (as a Sister City of Perth) and Western Australia (2002-2006). Management, planning and policy in HTI. Department of Education (BPPN) 1994.